We are one of the world’s largest and fastest growing Collaboration Service Providers. Our mission is to deliver successful collaboration experiences that facilitate and energize teamwork. As a pure collaboration provider, we are 100% focused on delivering quality audio, web and video conferencing and Unified Collaboration solutions that address the needs of large enterprises, as well as small and medium businesses. Our reservationless audio conferencing services provide excellent voice quality, security and ease of use. Dialing the access number and entering in the PIN code is all it takes to join the call! 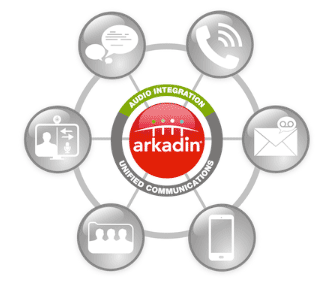 For larger audiences or for strategically important meetings, our dedicated ArkadinEvent production team offers managed services to ensure that your virtual meeting is a success.